These are a few pictures from a sample I am currently embroidering. 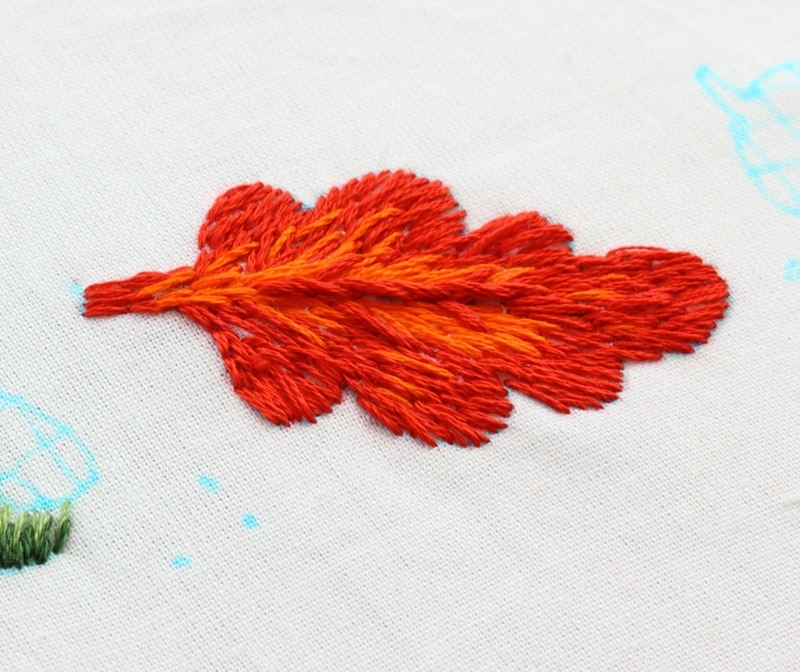 This oak leaf and acorn border motif is from my Acorn embroidery pattern set. 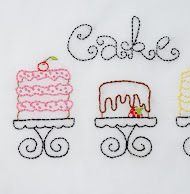 When I finish this, I will publish a post with all the stitch and floss color information. 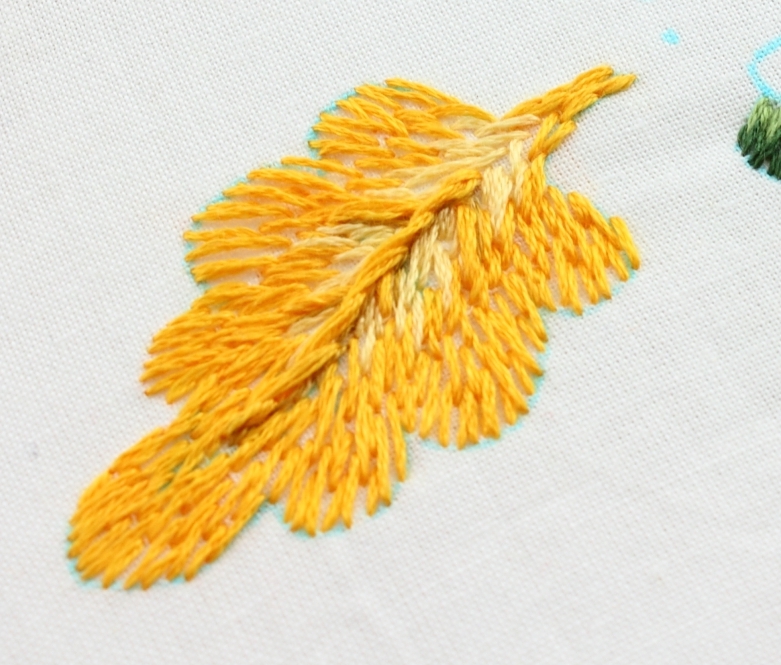 I have a bit more stitching to do ~ so far I am very pleased with the results! Absolutely gorgeous! Autumn is my favorite time of the year and you honored it well. Wonderful project! :) Thank you so much Darlene! I love this season as well - so many beautiful colors. thank you for sharing the WIP. Every other day I just stop by your blog and Mary Corbett's . 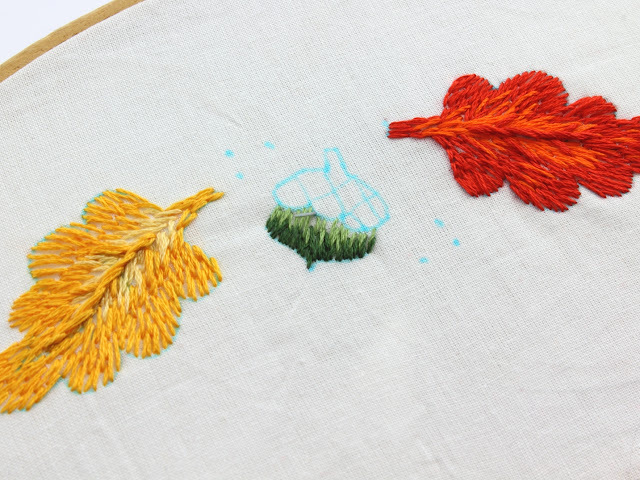 And today both of you have posted warm Autumn colours and lovely designs. 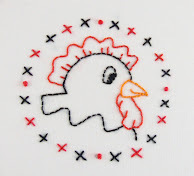 A big thank you to you for all the feast of colours on this blog.